Disney Vacation Planner | Mount Pleasant & Charleston S.C.
Leslie, owner, Chairman of The Board Of Directors, and agent in Charleston South Carolina, began Moments of Magic Travel with the goal of creating a truly customized Disney vacation experience for her clients. 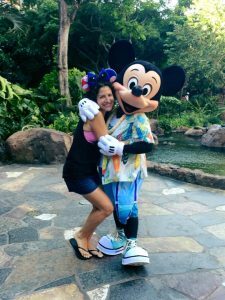 She has over 27 years of personal Disney experience and treats every client’s vacation as if it were her own. 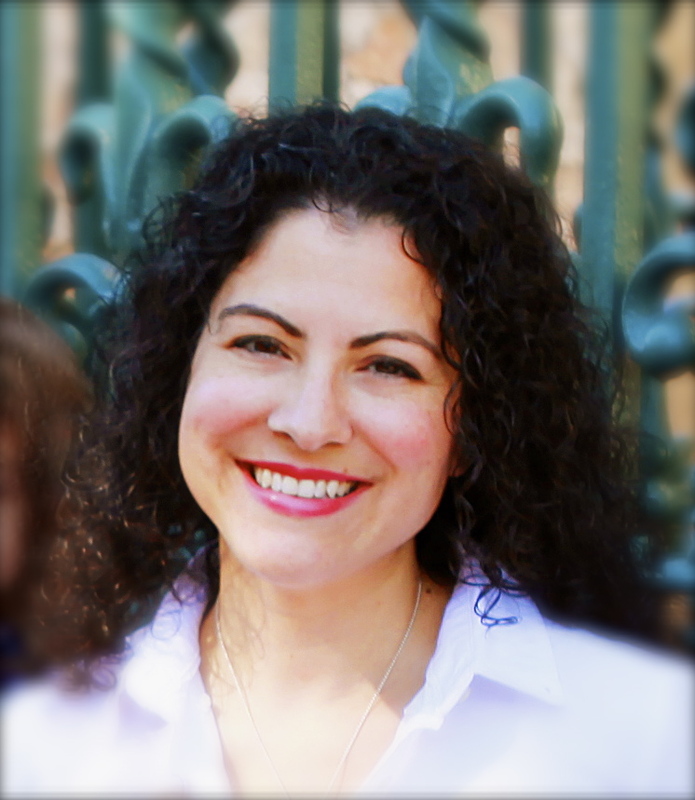 In addition to creating magical Disney vacations, Leslie is a busy mother to 5 children! It was her commitment to her family and love of all things Disney that presented a unique opportunity to share her knowledge and expertise with others. She guides her team with an extensive business background and is excited to see how Moments of Magic Travel will continue to grow! We do all the work so you do not have to handle the time consuming planning involved with a Disney vacation…our specialists will make planning your trip truly stress free. What Leslie’s Clients Think About Her! We had. a great time at Disney World and would go back again if we could today. Leslie set up a wonderful vacation for our family for the first time ever to Disney World. Our daughter got to meet at least half of the princesses and have dinner or lunch with them at the same time that was a magical moment to her dad and I. The animal Kingdom Lodge was perfect for our family since we love animals and want to be with them all the time. Thank you and will be back again for your services. Our family just returned from one of the best planned trips we've ever taken and we can't say thank you enough to Leslie at Moments of Magic Travel for making it such a memorable and stress free vacation. The attention to detail from our hotel, dining, character meet and greets, fast passes and more exceeded our expectations and we couldn't have asked for anything more. We enjoyed every minute of our Disney trip all because of Leslie's perfect planning! Thanks Leslie, for making our trip a truly magical one! We will certainly be calling you for any/all of our future Disney vacations! We cannot thank you enough for planning our recent Disney vacation. It was truly magical. Working with Leslie was a dream come true. Having you help with our planning, giving us recommendations, was awesome! We LOVED the Grand Floridian. It is always hard to pick a resort, but knowing how highly it came recommended, it did not disappoint. Chris and I enjoyed a few evenings around the pool watching the kids swim and relaxing. It was great! The dinner reservations were wonderful, and seeing Disney through my children's eye, was priceless! We cannot wait to plan our next Disney destination with Leslie and the Moments of Magic team! We just finished a Disney vacation with our family (12 members) with 6 adults and 6 grandchildren ranging from ages 3-15. Everyone agreed this was the best vacation ever and would not have changed one thing if we could have. Leslie of Moments of Magic Travel arranged our trip and with all her talent made it possible for us to just show up and have the time of our lives. She had set up every detail of our trip from our hotel, the beautiful Polynesian, all our fast-passes for the rides, and the best dinner reservations ever including 2 of them with Disney characters. She spent endless hours setting up a schedule that fit what everyone wanted to do and see in Disney and was available 24/7 with questions and advisement to make our trip so memorable. I will be happy to share Leslie with all my friends who are planning a Disney vacation and of course, she will be handling our family's next trip to Disney for sure. Thanks Leslie from everyone in our family from our 3 year old granddaughter to my husband and myself 67 years old. You hit it out of the ballpark for us! Thank you for helping us make our Disney vacation a dream come true!! Leslie,Words cannot express how grateful we are for all of the planning you did for us on our first Disney Vacation. We had an absolute blast (understatement!) and thoroughly enjoyed every minute of every day! Also, thank you for the amazing gift you had waiting for us - we brought the goodies home and are still enjoying them! 🙂 Needless to say we are ready to go back, lol! You definitely have a customer for life and we will be using Moments of Magic again in the future!! I used Moments of Magic for my family's first visit to Disney World and and we had an amazing and magical experience! Our travel agent Leslie proved to have a wealth of knowledge of the Disney World resorts, rides, character experiences, and dining options. She pointed out ways I could save money in addition to the available Disney discounts and was always there to answer my questions. She knew exactly which fast passes we needed and the best times to book our meals. I would have been completely lost in my planning if it weren't for Leslie and Moments of travel. Thanks Leslie! Thank you so much for getting our disney vacation together! Bailey and I had such a wonderful time celebrating her birthday. Everything went so smoothly and perfectly. I so appreciate all of your advice, availability, and organization - it made everything a breeze! We loved Wilderness Lodge, we ate fabulous food day in and day out, and we were able to get every singe ride/activity we wanted (even the Mine Train!). We will certainly treasure all of the memories we made this weekend. I hope you have a wonderful rest of the summer! If I ever get the chance to go back to Disney, I'll be calling you!:). Thanks so much! Just wanted to say a HUGE thank you from all of us at Stages Dance Academy in Depew, NY. Leslie-You did a fantastic job and made our trip one we will never forget. We highly recommend Moments of Magic Travel and will be passing your name on to everyone who is traveling to Disney!! Thanks so much!!! If you are even thinking about planning a trip to Disney (whether you've never been or you've been 99 times), you should book with Moments of Magic Travel! I have been to Disney more times than I can count, but Leslie Dispensa-Perlman made our trip so perfect! I am still in awe that we hardly waited in line at all for anything IN JULY, and every meal she booked was perfect! It does not cost one cent extra to use them, and I wish I had found them years ago! We had a BLAST! Thank you, Leslie!! Our family would like to give Leslie Dispensa-Perlman and Moments of Magic Travel a Huge thank you for planning our first Disney cruise on the Dream! What an amazing experience. Thanks again for everything. I wanted to let you know that our trip to Disney was perfect! We hadn’t planned to go back for another 2 or 3 years, but since we had such a great time, we’ve decided to go again next year! Taylor had such a magical birthday! She got to meet all the princesses and felt like a princess herself. Thank you for the gift, we love it! The itinerary you put together was a huge help, and the Fast passes were awesome! We only wished we had more than 3 to use each day! Thanks for everything, and I’ll be in contact in the next few months to start booking next year’s trip! Leslie Dispensa-Perlman was incredibly nice and helpful! She was resourceful and answered all of our questions (Even the ones we didn't think about asking!) We will certainly tell our friends about Leslie, our "Disney Connection!" We look forward to a fun, adventurous vacation at Disneyland. Kudos to Leslie! Moments of Magic Travel....What else can I say. It was our 1st family trip to Disney World and it could be overwhelming. The personal attention to detail and our family's custom plan they put together for us was AMAZING. We will be calling to book our Cruise very soon! Can't wait. This was my 2nd trip booked through Moments of Magic Travel and each time it is a new adventure. Leslie and her team do a great job to make sure everyone in our family is taken care of when it comes to seeing and doing things we all like. We can not wait until our next trip in 2014. Speak to you soon. Big shout to Leslie of Moments of Magic Travel. She was great and answered my many questions, called Disney what 4x for me when hubby changed his mind. There is now a huge suprise planned for my children in November whoo hoo. Just returned from 4 days at Disney and have to say that Leslie and Moments of Magic certainly made our trip great, and a whole lot easier to manage! I have planned lots of trips for myself and family from ski vacations to solo European excursions, but I was totally overwhelmed on my own with looking at what to do/where to stay/where to eat/etc. at Disney. Leslie stepped in and asked pertinent questions, then gave suggestions and arranged everything for us. All at no cost to you as the guest - it actually cost us less than what I was initially planning as she found some discounts that I didn't know about. It leaves you to enjoy your vacation without all of the headaches - its a no brainer from now on for me. Favorite Disney memory or experience? Seeing my children’s eyes light up each time they step foot in the parks!